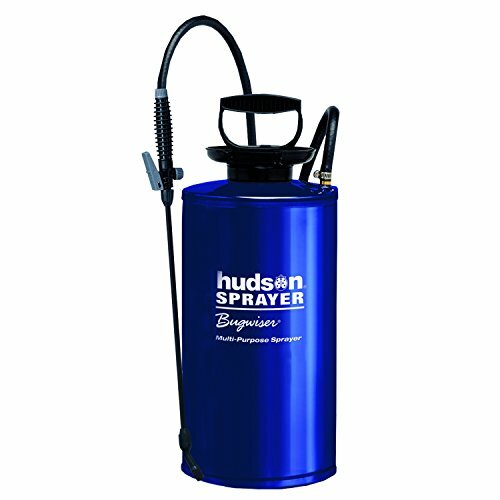 For home, lawn and garden rely on Hudson sprayers to protect against insects, weeds and plant diseases. We also make life easier with sprayers for wood deck maintenance, removing wallpaper, mildew control, and many other applications. Concrete contractors, janitorial and sanitation maintenance workers and pest control operators turn to Hudson Professional division sprayers and accessories. Bugwiser spray wand. Poly cone nozzle--adjusts from fine mist to long distance stream. HPP high performance pump with comfortable D handle. Includes measuring cup. 5 year warranty.